Description Oct. 25, 1961. See also photo 326. 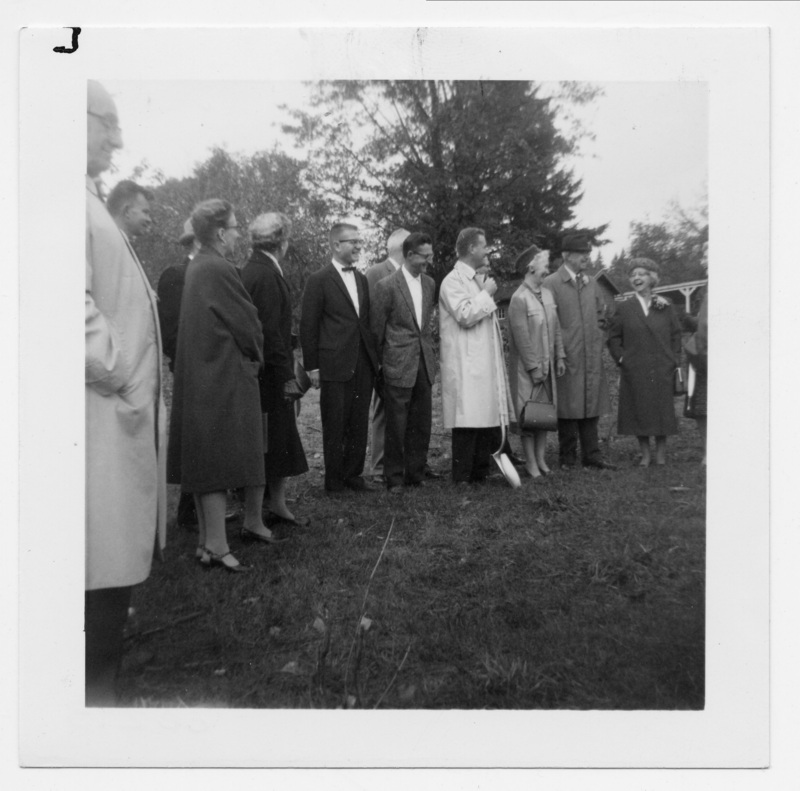 Mayor Lee Stidd, Jr. holding shovel; Eleanor Beard at his right. Wally Graham in bowtie. LO Review 11-2-1961, p. A1, photo shows Dr. Carl Stanley, James Lawrence, Wallace (Wally) Graham, Lee Stidd, Jr., Glen Stanton, architect, & Mrs. George Beard. Library owns the ceremonial shovel. Physical Description H 3 1/2" x W 3 1/2"